RFLink is a wireless Active RFID GPS tracking system integrated with GPS tracking, temperature monitoring and telematics. 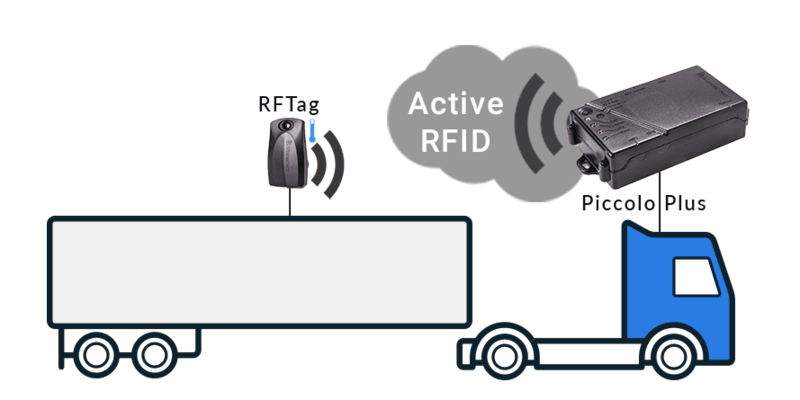 The solution consists of active RFID tags mounted on containers, (refrigerated) trailers, or any asset, thus providing accurate, scalable and extremely reliable visibility & control for any size application, even in harsh and remote environments. 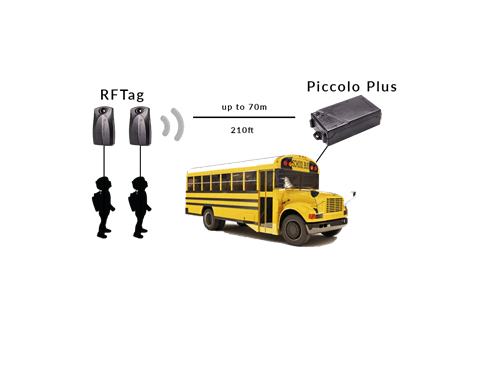 These RFID tags (RFTags) communicate with a Piccolo Plus GPS telematics unit installed on a truck (acting as an RF gateway), which provides the fleet management solution including driver behavior and engine diagnostics. Together the 2 systems compromise 1 powerful RFID GPS tracking system for all your fleet management and monitoring needs. 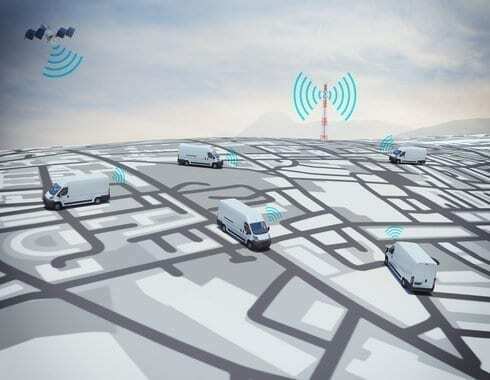 1 powerful RFID GPS tracking system for all your fleet management and monitoring needs. Active RFTags are simply placed on any asset to be monitored. They are easy to deploy and highly scalable, no IT required. Cost effective. A fraction of the cost of installing a tracking device on each asset. 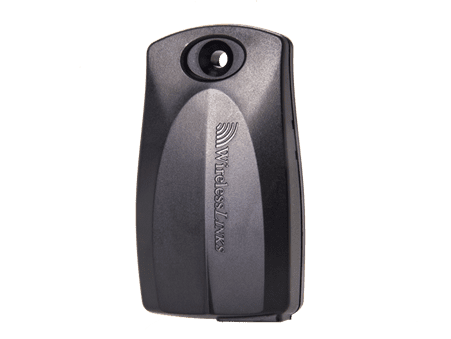 Can also function as a wireless remote I/O for detecting door open/closed events. 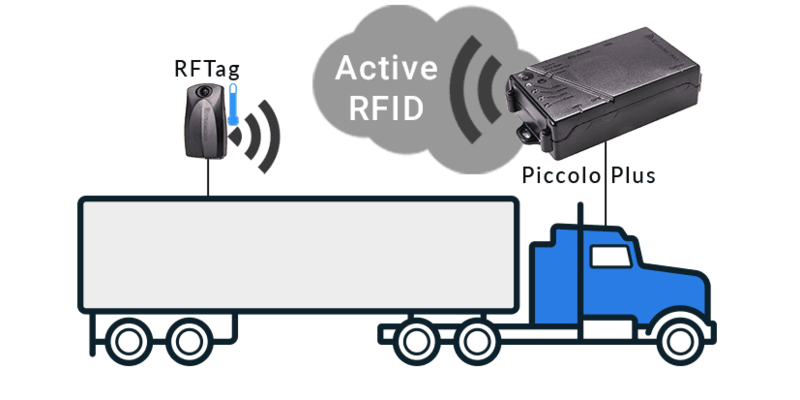 The RFLink solution is an Active RFID gps tracking system that is comprised of small, battery powered RFTags packaged in an IP67 waterproof enclosure. The RFTags are placed on trailers, containers or any asset to be monitored and a Piccolo Plus with an RFLink module is installed in any truck. The RFTags communicate via RF at 2.4GHz to the Piccolo Plus Gateway at a radius of up to 250 feet (70m). 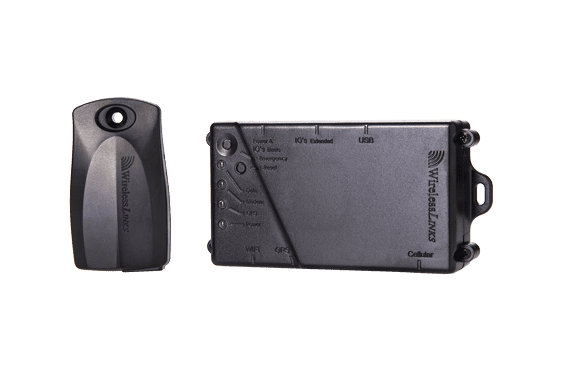 In addition to sending GPS position, driver behavior, and via-the-air engine diagnostics, the Piccolo Plus communicates wirelessly to the RFTags placed on every trailer and receives unique tag ID, signal strength, and temperature data. (which is the pickup and drop off location). 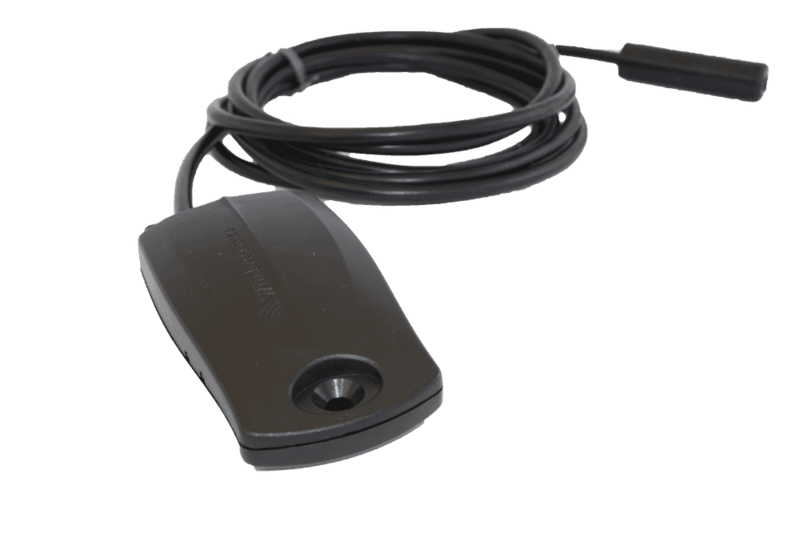 The RFTag has a powerful 32bit CPU with a 2.4 GHz IEEE802.15.4 transceiver and is packaged with a small, rechargeable lithium battery capable of powering the RFTag for up to 24 months. High-accuracy temperature monitoring of +/- 0.9°F (0.5°C) when packaged with an external digital temp sensor or an accuracy of +/- 1.8°F (1°C) with the integrated temperature sensor. Know when an asset was picked up and where it was dropped off and by whom, so you can achieve instant inventory management. Only drivers that have the matching ID's are authorized to start the vehicle. Designed for harsh working environments, each RFTag is packaged in a robust IP67 rated enclosure. 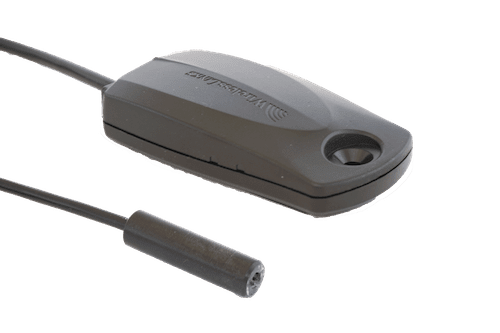 For certain applications in which the 210ft (70m) communication range is too powerful, the RFTag communication range can be shortened to 3ft, 6ft, 15ft, 30ft (1m,2m,5m or 10m) as needed. Up to 24 months of continuous operation with an integrated rechargeable lithium battery. Fill out the form below to schedule a solution demo, discuss your needs and get a personalized price quote.